You will receive 5% cashback every month for payments via ACLEDA Unity ToanChet at AEON Mall 1 and 2. The amount will be credited to your ToanChet account in early next month. This offer is valid until the end of 2019. Please kindly be informed you to update your new Identity Card or relevant legality document if the old one is using with the bank has expired. 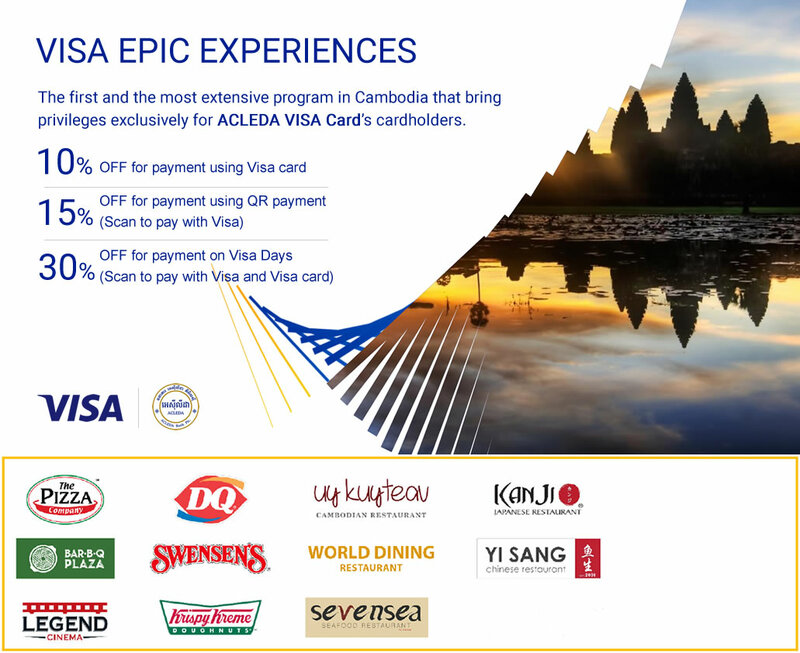 ACLEDA Gold Card and ACLEDA VISA/MasterCard/JCB Card (Gold/VIP) Cardholders can access Priority Counter without queuing. 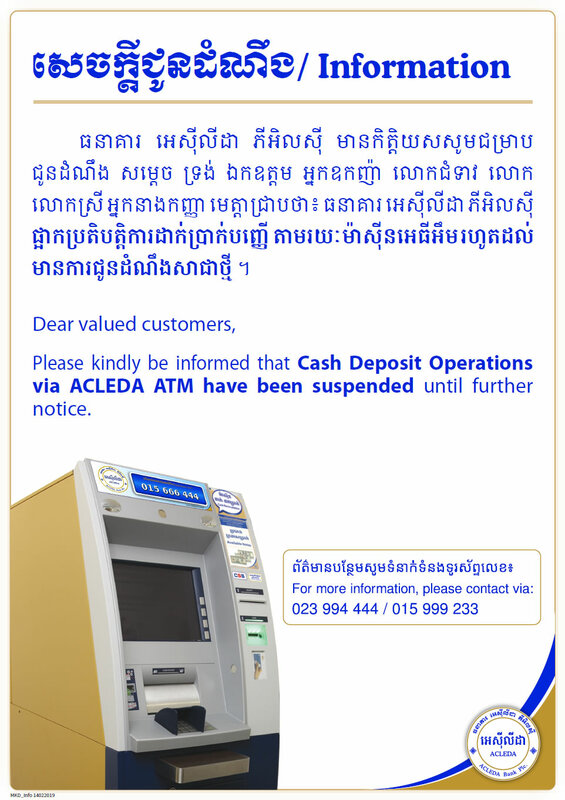 Cash withdrawal from ACLEDA ToanChet Account, bank account linked with ACLEDA ToanChet, or unregistered mobile number via ACLEDA ATM without card throughout Cambodia. 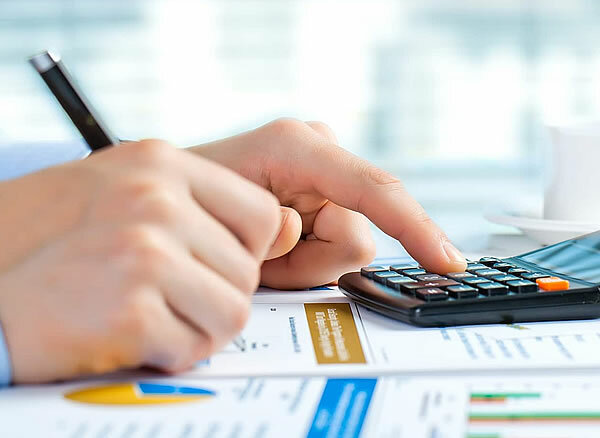 Transfer funds from bank account up to US$200,000 and from ToanChet account are unlimited per day via ACLEDA Unity ToanChet with free of charge. Welcome to ACLEDA Bank Plc. 27 years of sustainable financial services! 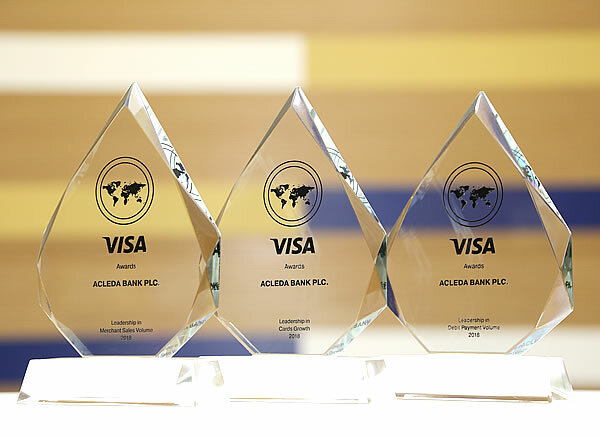 Leadership awards in Card Growth, Debit Payment Volume, and Merchant Sales Volume 2018 from Visa. We provide internship program for 40 students at morning and 40 students at evening at ACLEDA Bank Plc. or its subsidiaries in Cambodia. 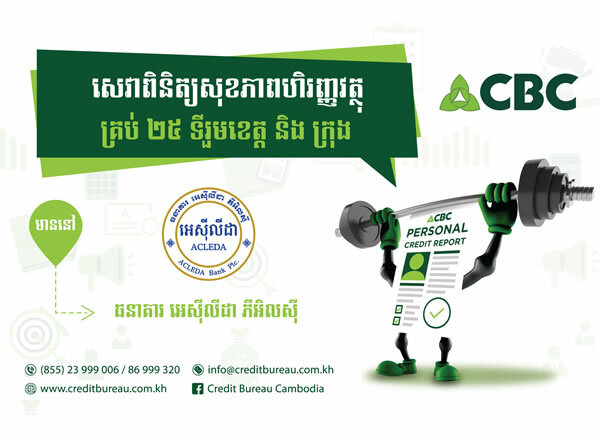 Financial Health Check is a Personal Credit Report enquiry from Credit Bureau (Cambodia) Co., Ltd. (CBC) via ACLEDA Bank where customers have borrowed money from financial institutions in Cambodia. 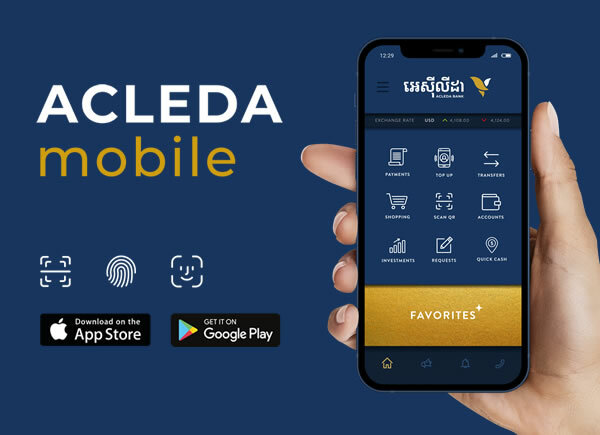 We published our Audited Financial Statments for the year ended December 31, 2018 to keep you informed about ACLEDA Bank's financial status. 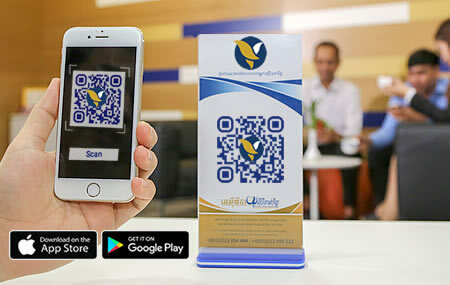 Prudential Cambodia policyholders can now pay their Life Insurance Premiums in a convenient, easy and secure via ACLEDA Unity ToanChet anywhere and anytime conveniently. 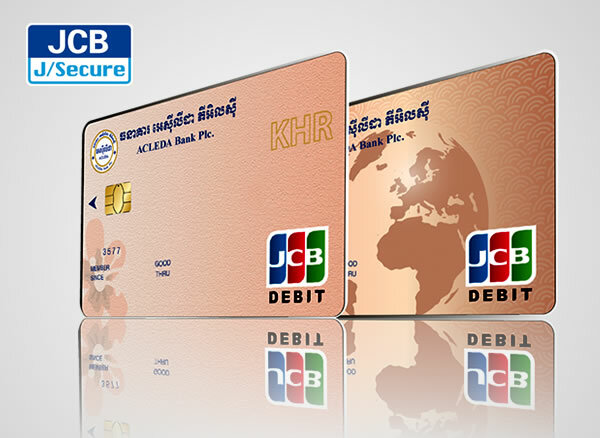 ACLEDA JCB Card is a secure tool in payment via Internet/POS and cash withdrawal via ATM worldwide. 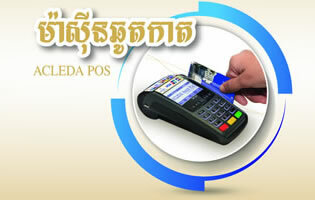 Now you can pay transport fee for public city bus and ferry from ACLEDA Unity ToanChet conveniently. 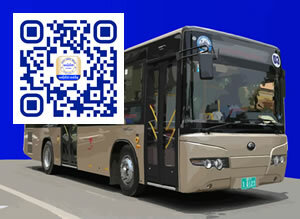 We have 8,132 partners (excluding retail partners) that you can make any payments via ACLEDA Unity ToanChet's QR Code. We've deployed 4,213 POS terminals (3,619 places) for paying goods/services instead of cash with ACLEDA Cards or other banks' cards conveniently. 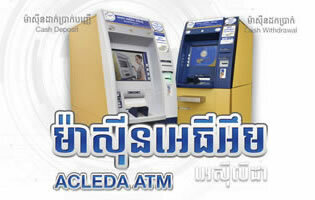 ACLEDA Bank has the largest ATM network (539 ATMs) throughout Cambodia. A wholly-owned subsidiary of ACLEDA Bank Plc. providing superior quality of educational and training services to all segments of the community. A wholly-owned subsidiary of ACLEDA Bank Plc. and providing services as a Securities Brokerage and Bondholders Representative to individual and institutional customers. One of ACLEDA Bank Plc. 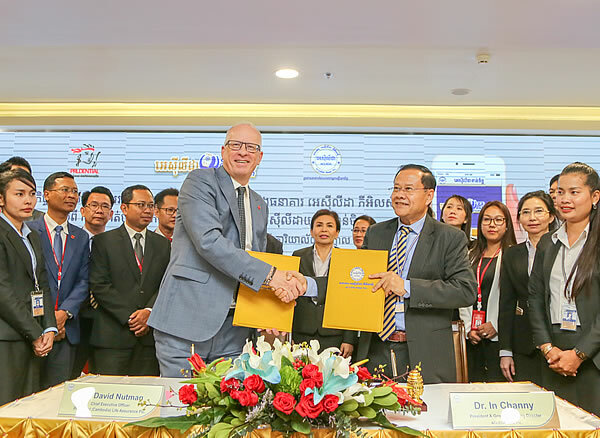 's subsidiaries and providing superior financial services in the Lao PDR (39 branches). One of ACLEDA Bank Plc. 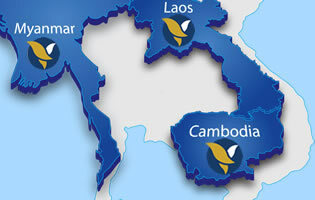 's subsidiaries and operating as a microfinance institution in Myanmar (9 branches). The secure, fast and convenient way to manage all your day-to-day banking. ACLEDA Unity ToanChet's new version will be released soon with new user interface and more special features. Please click here for our Currency Converter. 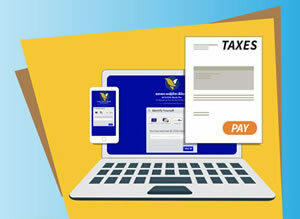 Financial solutions for your business! ACLEDA Bank is a reliable source to support your business growth and personal need. Please contact us for more information. ACLEDA-Jardines Education Foundation (AJF) was established to provide all the children of Cambodia the chance of an education. The AJF mandate initially covers primary education and has identified the provision of basic school building infrastructure as the first priority need.